Coulson-Thomas, Y. M., Coulson-Thomas, V. J., Norton, A. L., Gesteira, T. F., Cavalheiro, R. P., Meneghetti, M. C., Martins, J. R., Dixon, R. A. and Nader, H. B. (2015). The identification of proteoglycans and glycosaminoglycans in archaeological human bones and teeth. PLoS One 10(6): e0131105. Coulson-Thomas, V. J., Chang, S. H., Yeh, L. K., Coulson-Thomas, Y. M., Yamaguchi, Y., Esko, J., Liu, C. Y. and Kao, W. (2015). Loss of corneal epithelial heparan sulfate leads to corneal degeneration and impaired wound healing. Invest Ophthalmol Vis Sci 56(5): 3004-3014. Coulson-Thomas, Y. M., Norton, A. L., Coulson-Thomas, V. J., Florencio-Silva, R., Ali, N., Elmrghni, S., Gil, C. D., Sasso, G. R., Dixon, R. A. and Nader, H. B. (2015). DNA and bone structure preservation in medieval human skeletons. Forensic Sci Int 251: 186-194. Coulson-Thomas, Y. M., Gesteira, T. F., Norton, A. L., Kao, W. W., Nader, H. B. and Coulson-Thomas, V. J. (2015). The role of proteoglycans in the reactive stroma on tumor growth and progression. Histol Histopathol 30(1): 33-41. Ali, N., Coulson-Thomas, Y. M., Dixon, R. A. and Williams, D. R. (2014). Genetic variation comparison of 15 autosomal STR loci in an immigrant population living in the UK (British Pakistanis) with an ancestral origin population from Pakistan. Forensic Sci Int Genet 9: e10-12. Coulson-Thomas, V. J., Coulson-Thomas, Y. M., Gesteira, T. F., Andrade de Paula, C. A., Carneiro, C. R., Ortiz, V., Toma, L., Kao, W. W. and Nader, H. B. (2013). Lumican expression, localization and antitumor activity in prostate cancer. Exp Cell Res 319(7): 967-981. Norton, A. L., Coulson-Thomas, Y. M., Konovalov, O. and Coulson-Thomas, C. J. (2013). ERP II Implementation: Delivering Benefits Realisation. In: Chandler Book Design (eds). Policy Publications. Norton, A. L., Coulson-Thomas, Y. M., Coulson-Thomas, C. J. and Ashurst, C. (2013). Ensuring benefits realisation from ERP II: the CSF phasing model. Journal of Enterprise Information Management 26(3): 218-234. Ali, N., Coulson-Thomas, Y. M., Norton, A. L., Dixon, R. A. and Williams, D. R. (2013). Announcement of population data: genetic data for 17 Y-STR AmpFlSTR(R) Yfiler markers from an immigrant Pakistani population in the UK (British Pakistanis). Forensic Sci Int Genet 7(2): e40-42. Norton, A. L., Coulson-Thomas, Y. M., Coulson-Thomas, C. J. and Ashurst, C. (2012). Delivering Training for Highly Demanding Information Systems. European Journal of Training and Development 36(6): 646-662. Coulson-Thomas, V. J., Coulson-Thomas, Y. M., Gesteira, T. F., de Paula, C. A., Mader, A. M., Waisberg, J., Pinhal, M. A., Friedl, A., Toma, L. and Nader, H. B. (2011). 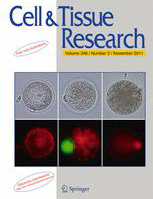 Colorectal cancer desmoplastic reaction up-regulates collagen synthesis and restricts cancer cell invasion. Cell Tissue Res 346(2): 223-236. Elmrghni, S., Dixon, R. A., Coulson-Thomas, Y. M. and Williams, D. R. (2012). Genetic data provided by 15 autosomal STR loci in the Libyan population living in Benghazi. Forensic Sci Int Genet 6(3): e93-94. Elmrghni, S., Coulson-Thomas, Y. M., Kaddura, M., Dixon, R. A. and Williams, D. R. (2012). Population genetic data for 17 Y STR markers from Benghazi (East Libya). Forensic Sci Int Genet 6(2): 224-227. Coulson-Thomas, V. J., Gesteira, T. F., Coulson-Thomas, Y. M., Vicente, C. M., Tersariol, I. L., Nader, H. B. and Toma, L. (2010). Fibroblast and prostate tumor cell cross-talk: fibroblast differentiation, TGF-beta, and extracellular matrix down-regulation. Exp Cell Res 316(19): 3207-3226. Filous, A. R., Miller, J. H., Coulson-Thomas, Y. M., Horn, K. P., Alilain, W. J. and Silver, J. (2010). Immature astrocytes promote CNS axonal regeneration when combined with chondroitinase ABC. Dev Neurobiol 70(12): 826-841. Melo, K. R., Gutierrez, A., Nascimento, F. D., Araujo, M. K., Sampaio, M. U., Carmona, A. K., Coulson-Thomas, Y. M., Trindade, E. S., Nader, H. B., Tersariol, I. L. and Motta, G. (2009). Involvement of heparan sulfate proteoglycans in cellular uptake of high molecular weight kininogen. Biol Chem 390(2): 145-155. Coulson-Thomas, Y. M., Coulson-Thomas, V. J., Filippo, T. R., Mortara, R. A., da Silveira, R. B., Nader, H. B. and Porcionatto, M. A. (2008). Adult bone marrow-derived mononuclear cells expressing chondroitinase AC transplanted into CNS injury sites promote local brain chondroitin sulphate degradation. J Neurosci Methods 171(1): 19-29.